Banana Republic is a brand that synonymous with work wear alias office outfits. 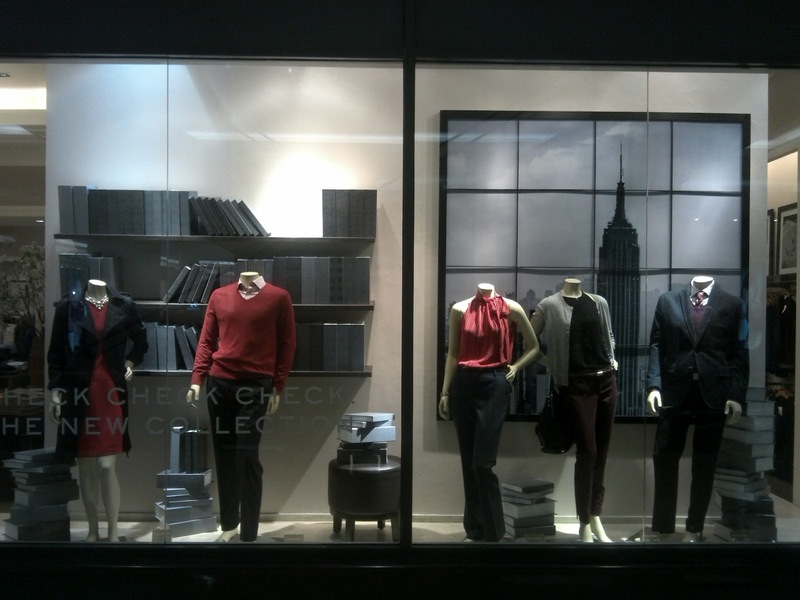 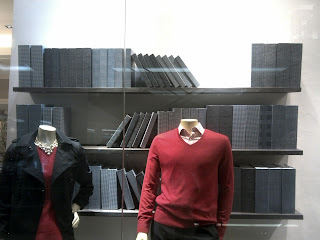 For Fall 2012 season, office scene becomes the main subject both for the advertisement images and also for the window display. Check out this Banana Republic store at Senayan City. 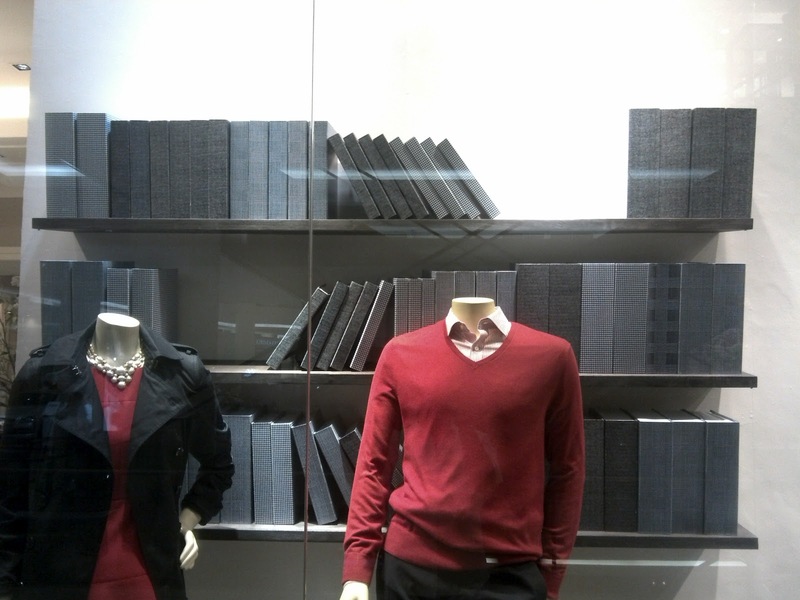 Its spacious window display is already turned into an busy office library with stacks of grey-covered books scattered everywhere. 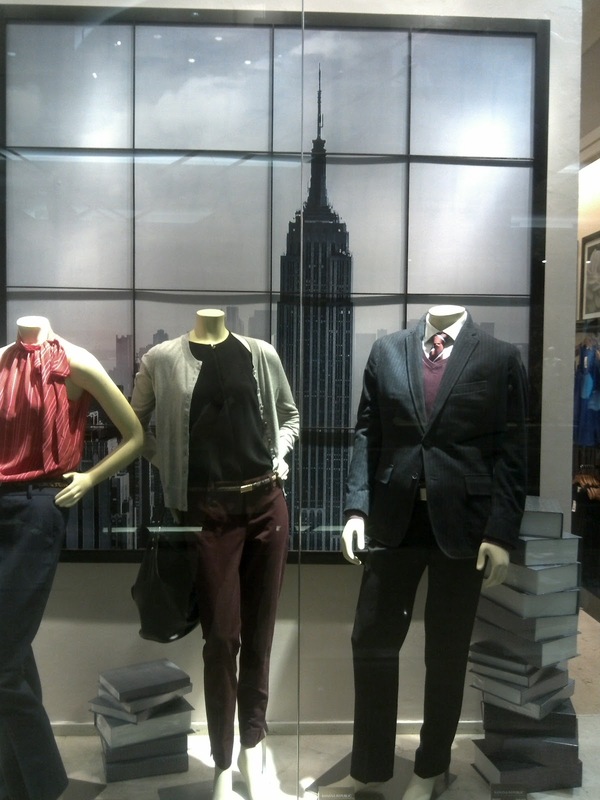 There is also a window pane with Empire State building and its sky-crappers neighborhood around it that make the display looks more real like an office inside a tall building.